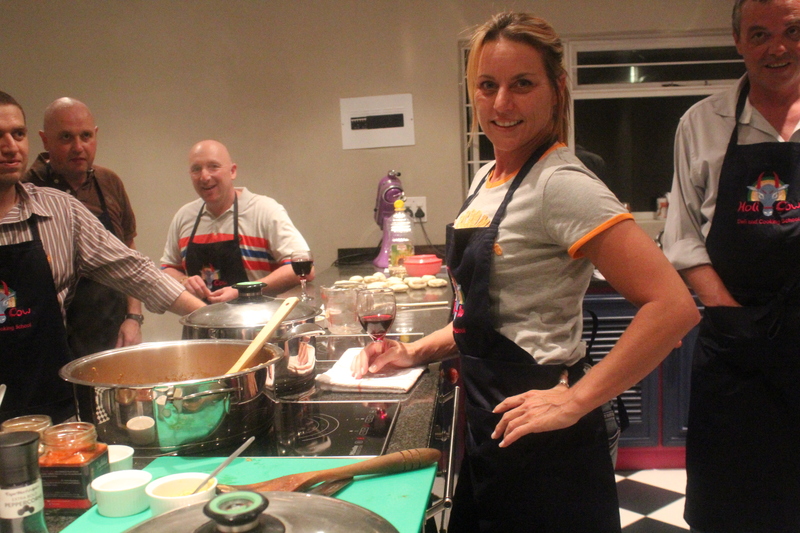 Curry Me home cooking classes. 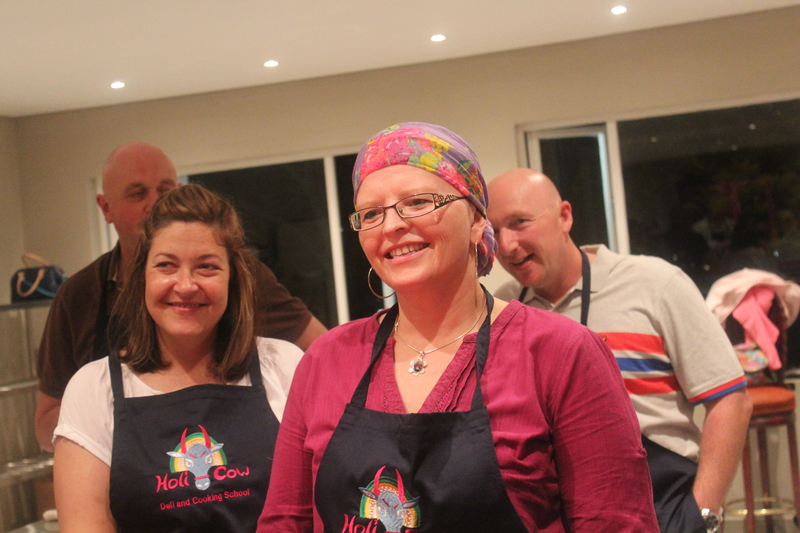 Hands on at Holi Cow…. 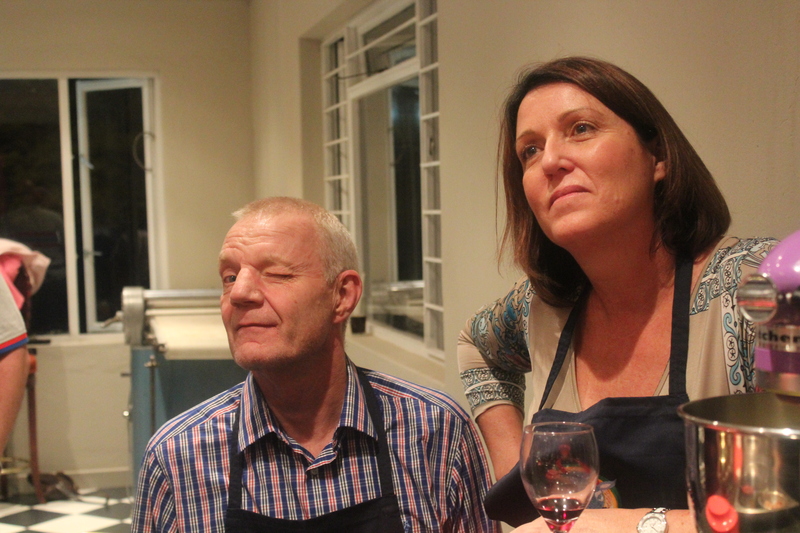 Fruits of the Curry 101 class…. It has certainly been a crazy week! 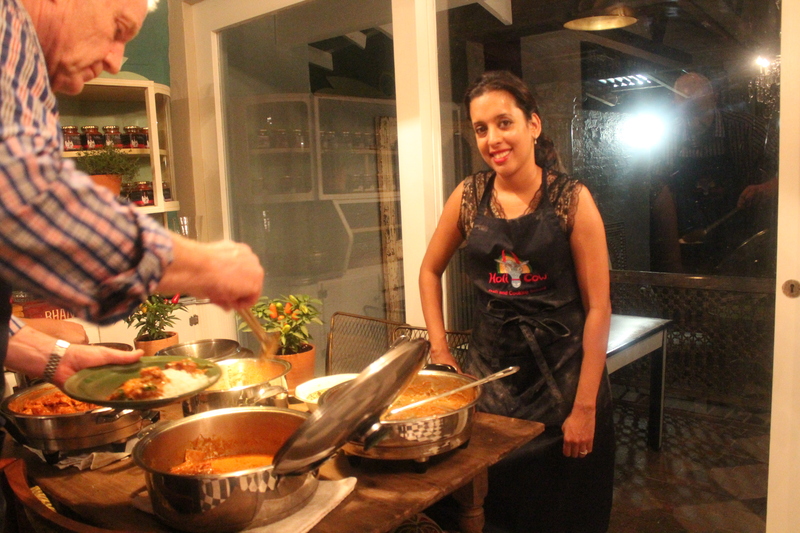 I hosted the first hands on cooking class at the Holi Cow and it was lots of fun with an enthusiastic group. The Curry 101 class covered Lamb Rogan Josh, Coconut Prawns, Chickpea and Mushroom Curry, Creamy Coriander Chicken, Rotis and my famous Dreamy Chocolate Cake. 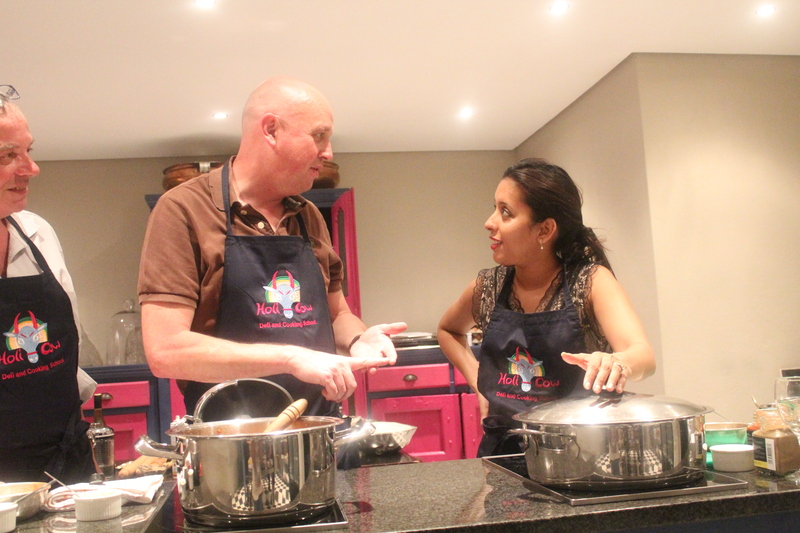 Graeme and Sara Butchart – The prawn curry pros…. 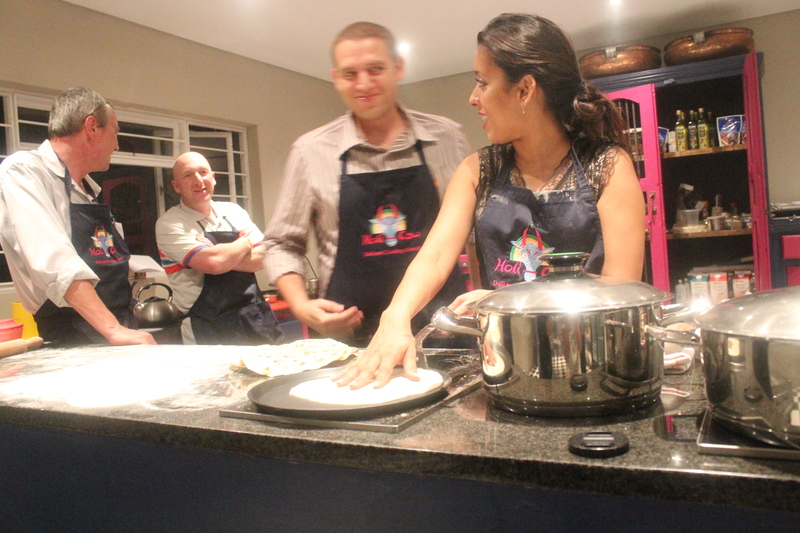 The Curry Queens prepared the Creamy Coriander Chicken….. The lovely Dee Ann…steals the spotlight! Dee Ann – strikes are pose…. Yudhika – the roti lady….